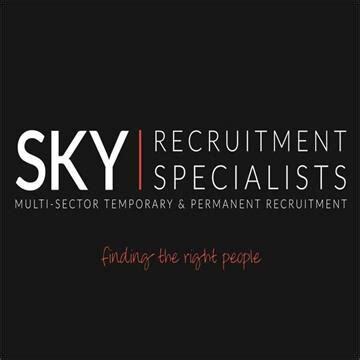 Sky Recruitment Solutions are Derby’s No.1 Multi Sector recruitment company. We can supply you with staff for Temporary or Permanent positions within your business, so if you have any vacancies or need additional staff to cover holidays, sickness or a temporary uplift in business please contact us for a solutions for your needs. We proudly sponsor several local events – The Derby Telegraph Food and Drink Awards, The Derby Telegraph Business Awards and local junior football teams. 5% discount on all fees for CQ companies that hire staff through Sky Recruitment either on a permanent or temporary basis.